Oh my gosh. I was writing up my Boxycharm post for January 2017, and I went back to look through my posts and I realized, I hadn't posted anything for my December 2016 Boxycharm. I'm not sure how I managed to miss that. I took pictures and everything already. At least I noticed it now before the January 2017 box went live! As always, Boxycharm sends out 5 full size items. I really like that about them, because most subscription services mostly send sample sized products, and the odd full size item. 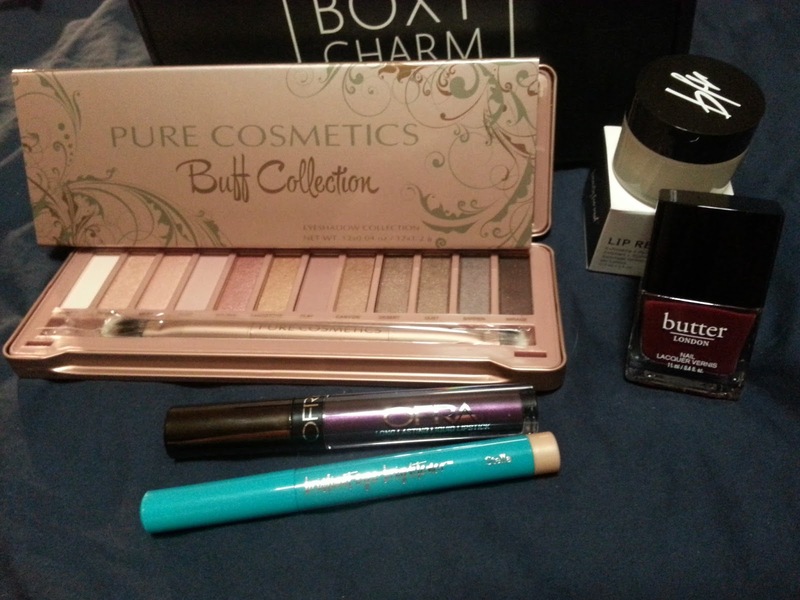 The theme for December was "Makeup on Pointe"
I think this is a great selection of products - especially for my first box! A palette featuring 12 wearable shades inspired by the popular smokey eye trend. Create universally flattering neutral looks with the Buff Collection's 12 rose-hued shadows. From long-wearing pale shimmers to velvety smooth rich mattes, each pressed powder shadow is formulated with the most luxurious ingredients for buildable application that lasts hours. 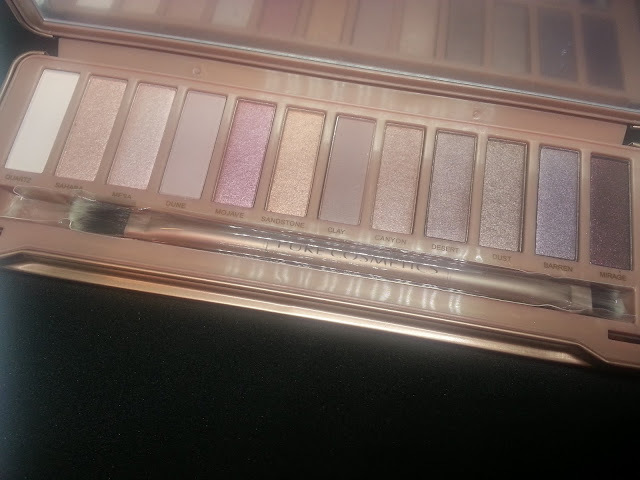 This reminds me a lot of the Naked 3 palette, which I've always been tempted to purchase, but never have, just because I don't normally reach for rose toned eyeshadows. It's so beautiful though. I've tried using it a few times, and I wish the pigmentation was better. There is also a lot of fallout. Everyone received this palette for December. Ofra Long Lasting Liquid Lipstick is a one step full lip colour that does not feather. The creamy and soft texture moisturizes your lips while creating a long lasting lipstick effect. Contains antioxidants and vitamin E.
I knew right away that this shade was not going to work for me. I didn't even bother to swatch it. I put it up for sale in one of the beauty groups I'm in, and someone wanted it right away. She actually received it before I posted this review, and she let me know how much she loves it. I'm glad it's getting the love it deserves, instead of sitting in my drawers! This was also an item that all subscribers received. 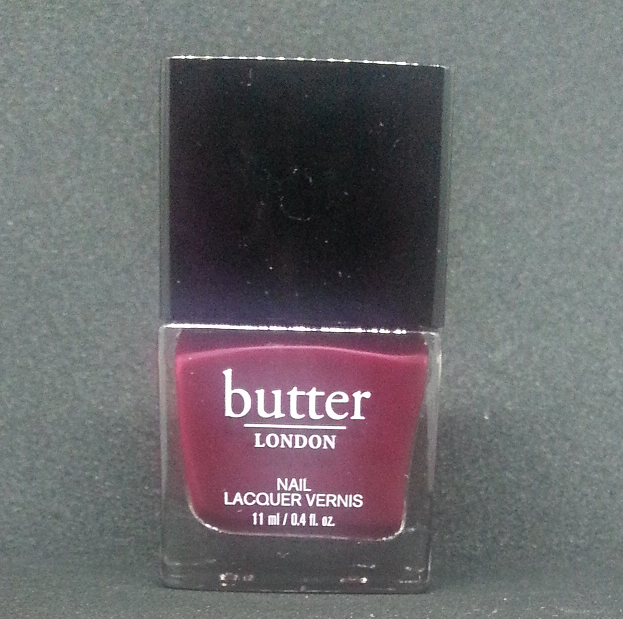 An 8-free lacquer in a heavily pigmented color and finish. This is a beautiful creamy burgundy shade that is perfect for this time of the year. I wore it for Christmas. It didn't last as long as I would have hoped on my nails, but I did get a good 3 days out of it before it chipped. Raw sugar cone exfoliates your lips while orange, vanilla, and cinnamon bark essential oils hydrate and condition for the softest, smoothest, kissable lips. This product will leave your lips hydrated and moisturized like a lip balm. Guys love it, too! This isn't too abrasive as a scrub. I don't really need another as I am still working on the Lush scrub I got over a year ago, and I believe I have another Hanalei one from some subscription box. But this smells good and works well, and I will eventually get to it. It tastes good, very cinnamon-y. Brilliant Eye Brightener highlights, brightens, and opens eyes, providing an instant eye lift. This is a pretty champagne coloured pencil. It would be nice for highlighting the inner eye corner, or even under the brown bone. I haven't tried it yet, but I will eventually get around to it. Like I mentioned above, I believe this is a great selection of products for my first box. The value of the palette alone is supposed to be $50, so that alone is more than the price of the box. If you're interested in signing up for Boxycharm, please use my referral link!